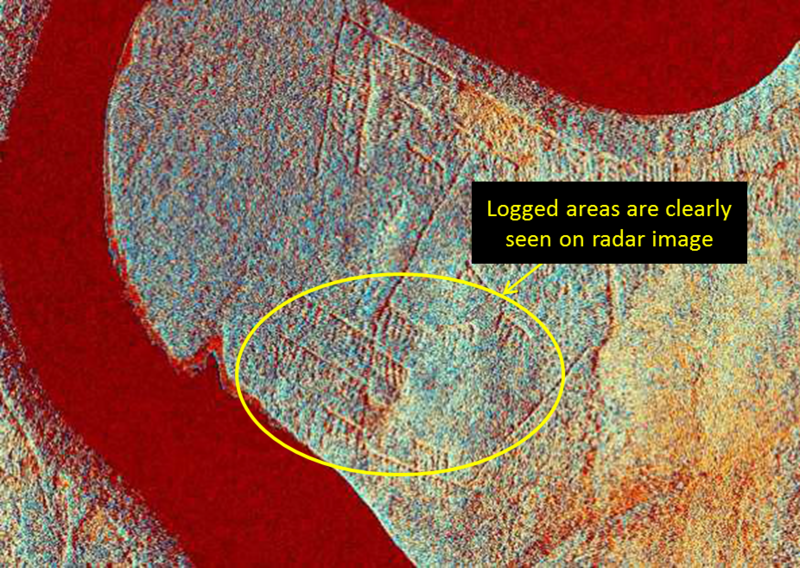 For this case "coherent co-registration of SAR images" PHOTOMOD Radar tool has been used. Coherent co-registration tool`s main task is to provide the possibility for user to generate the set of images matched mutually with high accuracy. The matching is performed on base of pixel’s phase values analysis. It means that the input images for processing should have complex format and be acquired under conditions of interferometric imagery. Since the characteristics of radar signal backscattering on the Earth surface depends on the surface geometry in the scale of radar wavelength there is a possibility to detect changes at different scale. 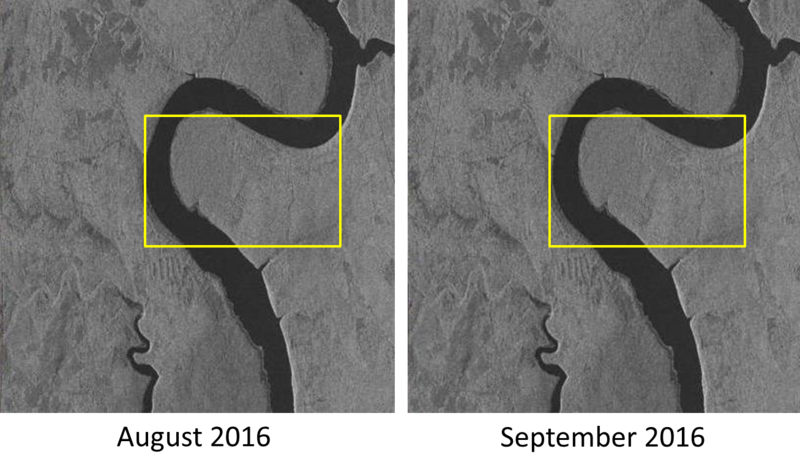 The joint processing of two complex interferometric SAR images gives a coherence image. The analysis of the coherence image shows changes occurred both in intensity and in phase of backscattered signal.